Do your part and volunteer! Find out how on the 'How to Volunteer' tab under Membership. 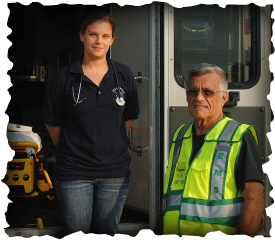 The membership of the Oceanport Volunteer First Aid and Rescue Squad come from all walks of life. We are nurses, educators, hospital workers, retired professionals and more. We are your neighbors; committed to serving the residents of Oceanport. Whatever the time of day, members stop what they are doing to respond when called, answering emergencies ranging from motor vehicle collisions and house fires to difficulty breathing and general weakness. Each and every call and patient is handled in a professional and caring manner receiving the highest quality care possible. This level of care is possible thanks to the training offered around the area that members attend throughout the year. To answer emergency first aid calls and to provide an emergency service to the sick, injured and infirmed, or disabled in an emergency and to save life. To maintain and operate such equipment as may be necessary, and to keep members and others well trained in the principles of first aid. Our primary coverage area is the 3.2 square miles and roughly 6 thousand residents of the Borough of Oceanport. We are also part of mutual aid agreements where, if needed, we will answer calls to assist First Aid or EMS Squads in neighboring towns. ALWAYS. Members answer calls 24 hours a day, 365 days a year. We crawl out of bed at 2 am or push back from the family dinner table to respond. During significant weather events like blizzards and hurricanes members sleep at the squad building to ensure timely responses. 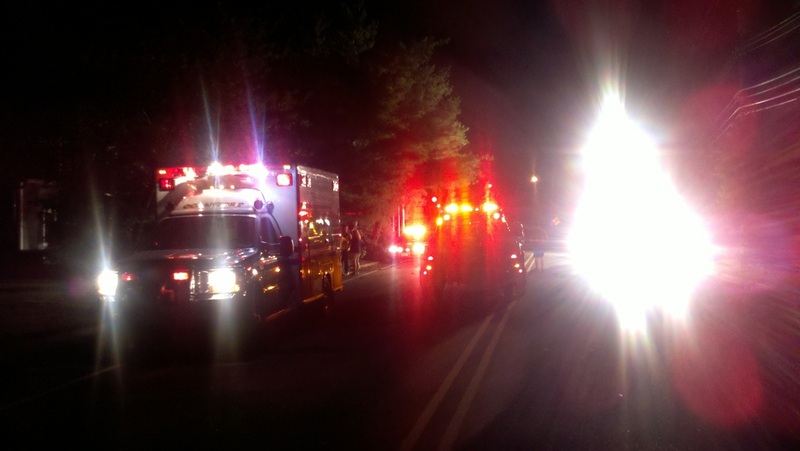 Having duty nights makes tackling the 600+ (and growing) calls each year more manageable for the membership. The answer to, "Why we volunteer?" is different for each member. For some it is the satisfaction of giving back to the community and contributing to its quality of life. For others it is a call to help others in their time of need. Still others join for the camaraderie and sense of belonging that comes from joining a close knit group like the First Aid Squad. Whatever the reason, at the end of the day members can go to sleep knowing they made a difference in someone's day, even life. Are you interested in learning about the other benefits of volunteering with us? Please visit the how to volunteer link found on the title bar to the left of the screen. We look forward to serving with you!